Our fleet tracking system shows an idling percentage which represents the overall idling time over total driving time. A high idling percentage leads to poor fuel efficiency and significantly higher overall fuel costs. The lower your idling percentage, the higher the fuel savings. Establish an initial baseline of idling cost and percentage by driver. Target weekly measurable improvements in idling percentage and idling cost. Progressively reduce the idling time for the Audible Driver Coaching Beep (from 10 minutes, to 5 minutes, to 3 minutes). Feel free to move to a monthly reporting/review format as you see measurable improvements with idling habits. Share weekly results and reports with drivers and setup quarterly/annual rewards for lowest idling time. Driving habits such as speeding, harsh braking and rapid acceleration have a significant impact on fuel economy. GPS fleet tracking systems can help catch these bad driving habits and correct them. Establish an initial baseline of aggressive driving habits by drivers. Educate company drivers on other fuel efficient driving habits – such as optimal engine speeds, driving speeds, warm up times, acceleration and deceleration techniques. Target weekly measurable improvements in the Driver Scorecard Report. Feel free to move to a monthly reporting/review format as you see measurable improvements with driving habits. Share weekly results and reports with drivers and setup quarterly/annual rewards for safe and efficient driving. Fuel cards can also be used to detect fraud, and monitor expenditure (fuel/distance) and identify those drivers/vehicles who appear to be using more fuel than would be expected. 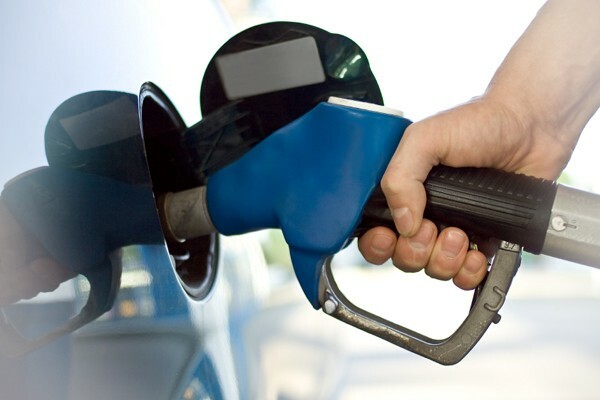 The administrative burdens of managing a fuel card program can be significantly reduced by integrating a new/existing fuel card program with GoFleet’s fuel card integration system. GoFleet’s GPS fleet tracking system fuel integration monitors and measures actual fuel consumption and fuel ups from the vehicle computer, and against GPS data. Request a custom fuel-up report from GoFleet, which measures the date, odometer and fuel up amount. (You will be required to input the actual fuel tank capacities for each vehicle to get the most accurate measurements). ENHANCED FUEL CARD ADD-ON: Request fuel card integration with an existing Fuel Card. Comparing actual fuel data with fuel card reports allow a fleet manager to easily identify inconsistencies and potential fuel theft. To learn more about how GoFleet’s fleet tracking system can help lower the fuel costs of your fleet, contact us!